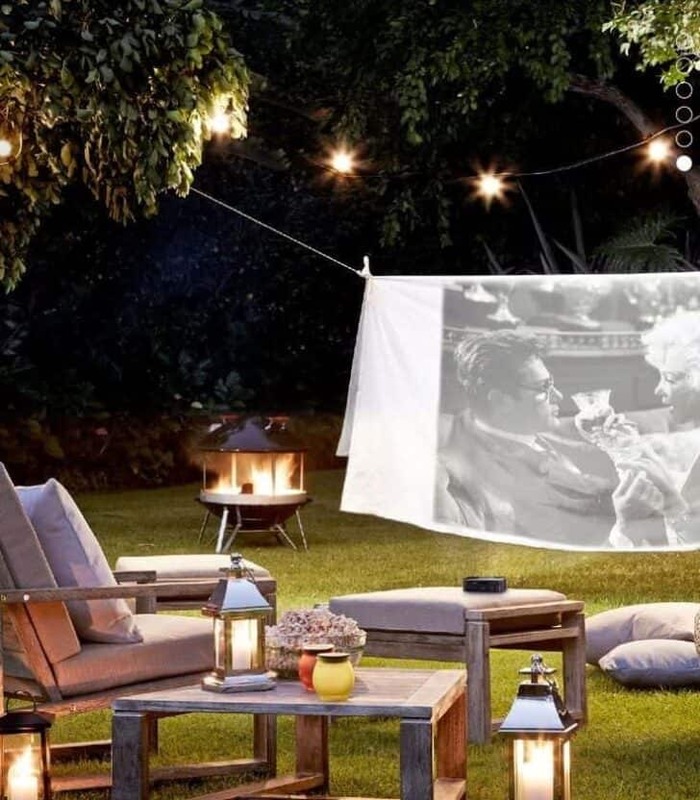 The best outdoor projectors to use in a garden, on a balcony, a terrace or in a garage... Summer is particularly suitable for outdoor cinema. 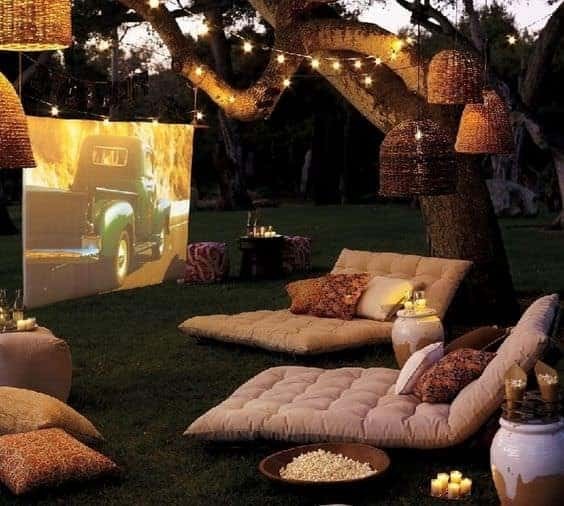 Unlike television, it is easy to create a spontaneous installation for a movie night under the stars. 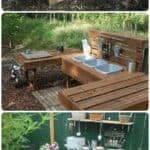 The open-air cinema also lends itself very well to camping. Read on to learn more about the ideal setting for your outdoor projection. Is it possible to install an open-air cinema without a screen? There are not yet any models specifically designed for outdoor projection. 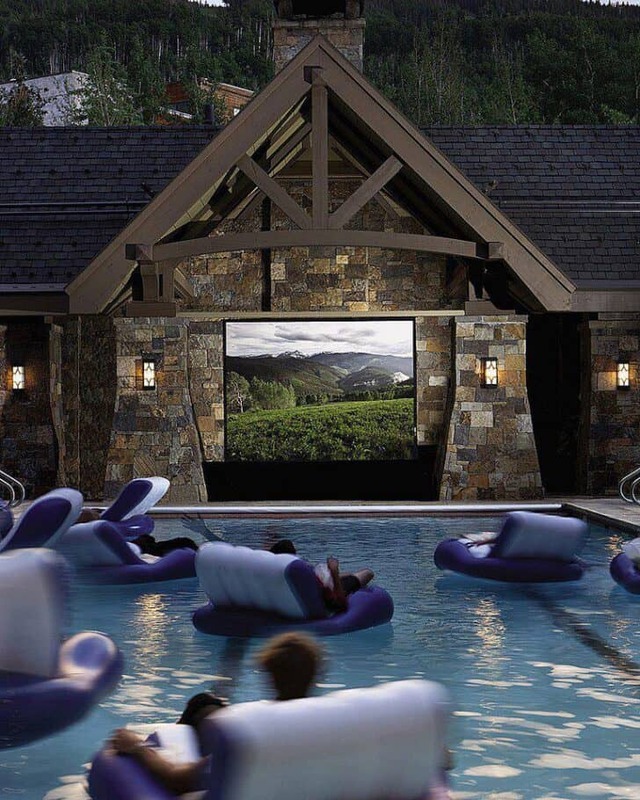 No matter what, several major professional quality brands are ready to give you satisfaction to perfect your movie nights or your outdoor presentations. The features listed above may be your first selection criteria when purchasing your projector. In order to project large images, for which outdoor projectors are known and appreciated, we strongly recommend using an HD model. Most home theater projectors broadcast in 720p or 1080p, which is more than enough. You can also search for a professional projector with a resolution of 1280×800 or higher. Non-HD projectors can also work well outdoors, but the image quality will not be as accurate as their counterparts with higher resolution. To complete your installation, you will also need a computer with an HD connection or a DVD or Blu-ray player. Some of the latest Home Cinema projectors have a built-in DVD player or iPhone interface and are in fact a perfect'all-in-one' solution. Just don't forget the power cable! Last little trick! No matter how often you use your cinema outdoors, we strongly advise you never to leave the projector outside after use. This also applies to the canvas! During a wedding or during a seminar, a screening of a series of photos, a report, a film or a football game can be very appreciated. But some recommendations are to be taken into account to ensure the success of your event. Knowing that we are talking here about equipment requiring electrical installations, one of the first things to do is to pay attention to humidity that could disturb and damage the equipment. The power of the projector display is the second guarantee of the visibility of your projection, but above all, be aware that projection in full sun is to be avoided, so wait until dusk for a correctly readable image. An outdoor projection requires a fairly large investment. You can find video projector rental service providers who can promise you a good rendering in any environment, but even with a power of 10000 lumens, in broad daylight, it will be difficult to distinguish anything on the projection surface. The minimum power required for an outdoor projection is 3000 lumens when planning your projection at dusk. A long focal length is required for a display beyond 5-7 meters distance between the projector and the projection surface. The use of an outdoor projector requires at least one HD display. A minimum of 720p is required for a sharp image, but of course, if you have the ability to use full HD or 4K, or 8 million pixels, the comfort for your eyes will only be better. Projector Sound: Some projectors have built-in speakers. If there are none or you simply want better audio quality, you can get portable speakers (with or without power). The answer: of course! You can create your own projection surface by using, for example, one of the walls of the house, the garage door, a plaque or a sheet. Where and how you want to do it ultimately depends on your desires. The best outdoor cinemas simply consist of a projector and a sheet stretched between two trees. 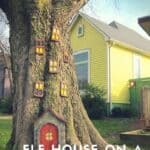 Invite your neighbors or at least inform them that pictures will appear in the garden or that noises will occur. It's best to start an open-air movie show at dusk. Pay attention to cables on which you can risk tripping. Make sure your projection screen is not wet before rolling it up and storing it. As soon as the screen size exceeds a certain diagonal, TV prices tend to soar! 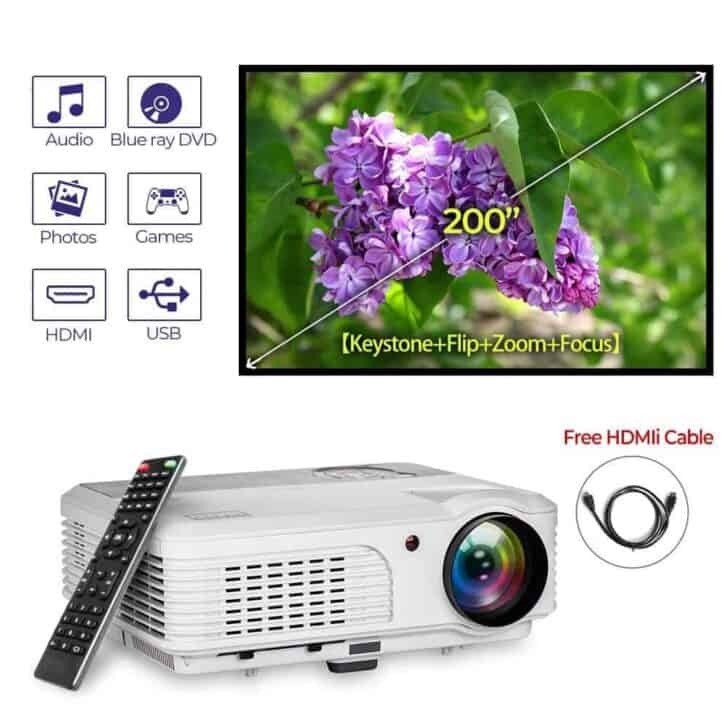 The purchase of the best outdoor projector represents an ideal compromise for all those who have a beautiful projection surface and a comfortable set-back distance. LED, Tri-LCD, Full HD? 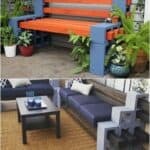 1001Gardens presents you the best devices according to your budget. Meyoung TC80 mini home tv projector in richer colors 1200 luminous efficiency native 800x480 resolution. Outdoor indoor movie night, up to max 1080P throw screen size 150" for home theater movies with family and friends in completely DARK NIGHT! Fits right into our best outdoor projectors list. Support HDMI-enabled blue-ray DVD player, PCs, Laptops, Tablets, Blue-ray DVD player, Media players, Games HD Ready, such as PS4. Compatible with USB Flash Drive, Mobile HDD, SD Card to play Videos, Music, Pictures etc. Comes with a built-in loudspeaker powerful amplifier. External Speaker required if you use a VGA cord to connect the LCD cinema projector while watching videos, VGA cable can NOT transmit audio signal. Remove the remote to the back of the projector's IR receiver. The USB port only supports USB flash drive, DO NOT support cord connection and data transfer. It will be easy to operate the Meyoung home projector by using a remote controller. More for quick presentations and Events, NOT recommend for professional PowerPoint Presentation. If you need a much louder sound, an External Speaker is required. Choose "PCM" Digital Audio Output in your Blue-ray DVD player. Notice: A HDMI ADAPTER (You need to purchase it separately) is required if you connect the projector to tablets and smartphones. 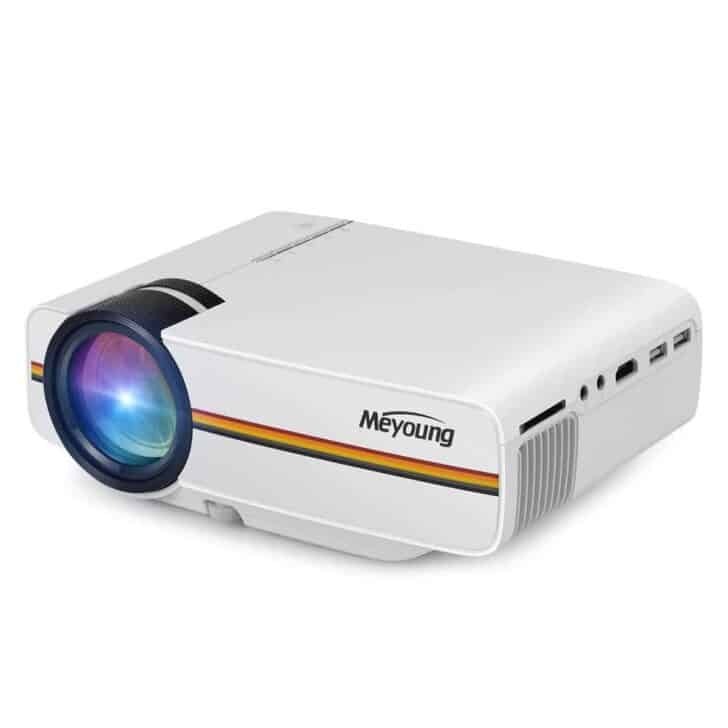 Meyoung portable projector perfect for connecting to any HDMI-enabled devices such as PCs, Laptops, Tablets, Blue-ray DVD player, Smartphones, Media players (Music, Pictures, Video, TXT). 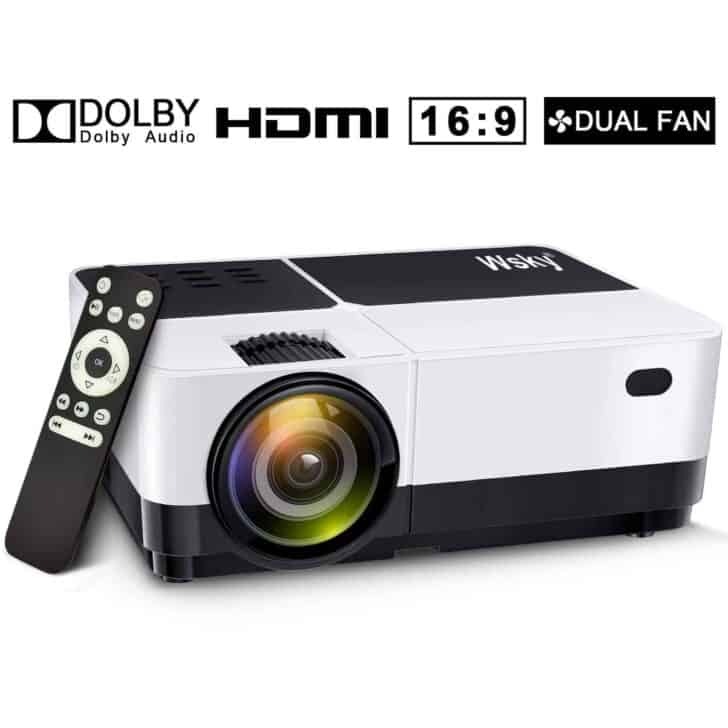 Authentic Big Screen Home Theater, Wsky Direct 2019 Upgrade Projector, Projection Image Capability is up to 176 inches, 20% larger than our 2018 model. 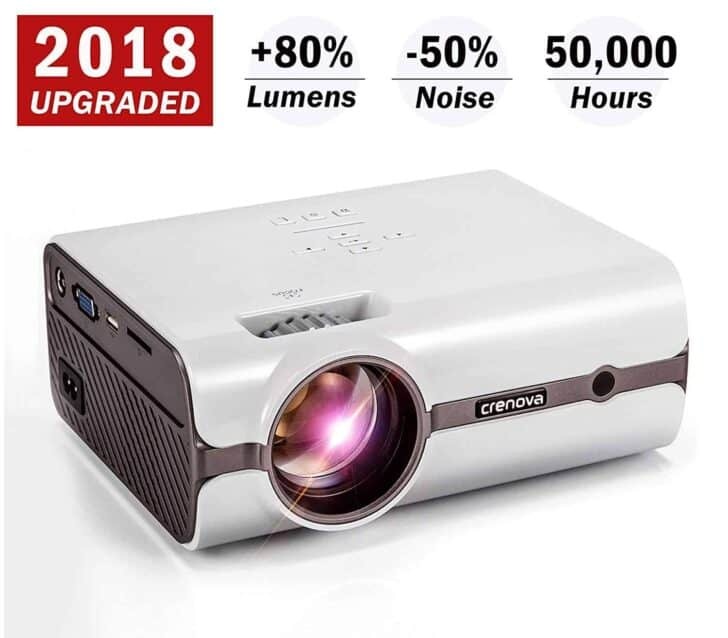 The light is 90% brighter than a regular projector. That’s why it hightailed all the way into our best outdoor projectors list. Dolby Audio technology is a powerful set of technologies for providing rich, clear and breathtaking sound effects for home theater. The technology can further enhance the appeal of entertainment by providing a dynamic auditory experience. Dual Fan design, the Cooling system is more efficient, which protects the light bulb and makes the lifespan longer, up to 40000 hours. You could choose Rear, front, ceiling, three ways to make a projection, with screw holes under projector(screw is not included) for ceiling mounted, operate with a remote control or manually. Support ±15°vertical keystone adjustment. PC, Laptop, PS4, Xbox One, Xbox One X, TV BOX, USB Driver, HDMI device, VGA, SD etc. Enjoy gaming and TV shows through a Big screen. Never worried about the subtitle too small. If you want to connect to iPhone or iPad, please purchase additional MHL cord. Extended lamp life for about 50,000 hours. To avoid overheating and extend its working life, to take a break after 3-4 hours using. Equipped with double tube cooling technology with heat dispersion, as well as the fan sound cut in half with noise suppression, so the fan noise is lower than other basic LED projector, which will not influence you during watching movies or football games. Mini Size: 8.27 x 6.5 x 3.23 Inch, easy to carry, provides you with a wide viewing area for backyard party/camping/movie theater or live sports streaming. Surround sound home theater effect enjoy the shock of music. Discover your new home entertainment hub with the Crenova XPE496. 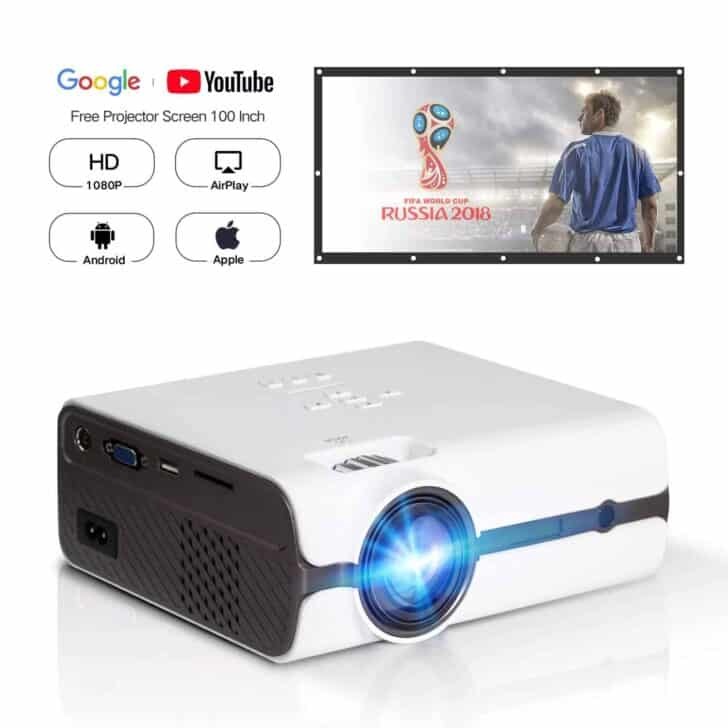 If you or a loved one is looking for the biggest and brightest HD content from all of your devices, look no further than this stylish and user-friendly video projector. That’s why it hightailed all the way into our best outdoor projectors list. Bold & bright 1080P supported clarity for an amazing viewing experience. 2200 Lumens provides the clearest picture in its class due to innovative square pixel technology. Finally, see true color without any jagged edges or blurred images. Outstanding R&D and engineering produce the most noise reduction from any Crenova projector. Zero overheating provides a user-friendly, superior viewing experience. Experience Crenova silence, it truly is golden. An enhanced LED bulb produces better brightness in all lighting conditions. Low-voltage allows the projector to use less energy for money saving benefits. The bulb’s longer lifespan eliminates having to buy costly replacements. Customized Home Theater: Front/rear/ceiling projector, you can put it on a desk or mount it on the ceiling to project movies, photos, games onto walls/screens. Projection image size: 50-200 inches, Throw Distance: 6.56-21.9FT, 16:9 cinema-level widescreen display, support 4:3. Powered by 3600 lumens brightness, 4500:1 high contrast ratio; high resolution determines the sharpness of the image, this projector features WXGA 1280x800 native resolution, support 1080p/720p HD picture quality. User-friendly Design: Built-in dual 5w hi-fi speakers, allows external speaker connectivity via RCA audio port and read media files from the usb flash drive without the need for pc, you can connect USB stick or external hard disk, simply plug & play. For everyone's easy use, this unit offers ±15° vertical keystone correction, digital zoom, 360°image flip, get a perfect image in seconds. The system supports up to 23 kinds of languages such as English, German, French, Spanish, Portuguese etc.